Less than a week before Halloween and I'm barely starting to put up some spooky decor. In the land of bloggers, I'm SUPER late to the game. Usually we are about a season ahead so that when the season already hits, our ideas will already be floating around in the worldwide web, LOL. "Keeping Your Halloween Decor Classy"
LET'S TALK COFFEE TABLE DECOR! 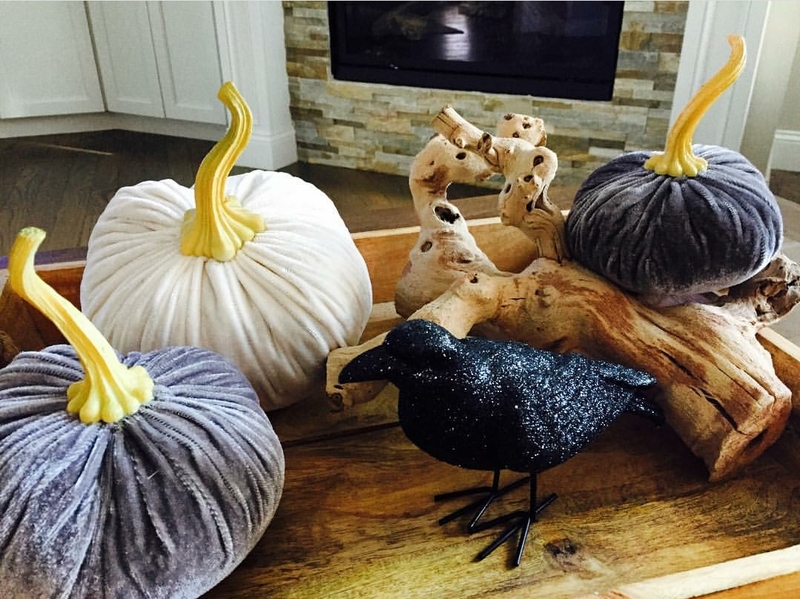 Check out how festive yet simple this Halloween arrangement looks on my friend Sharon's coffee table. All it takes to make a nice arrangement like this are a few pumpkins, a nice branch and a crow corralled in a tray. Thanks for sharing, Sharon! You can see more of Sharon's spooky Halloween decor by visiting her @AlexSharon2000 on Instagram. 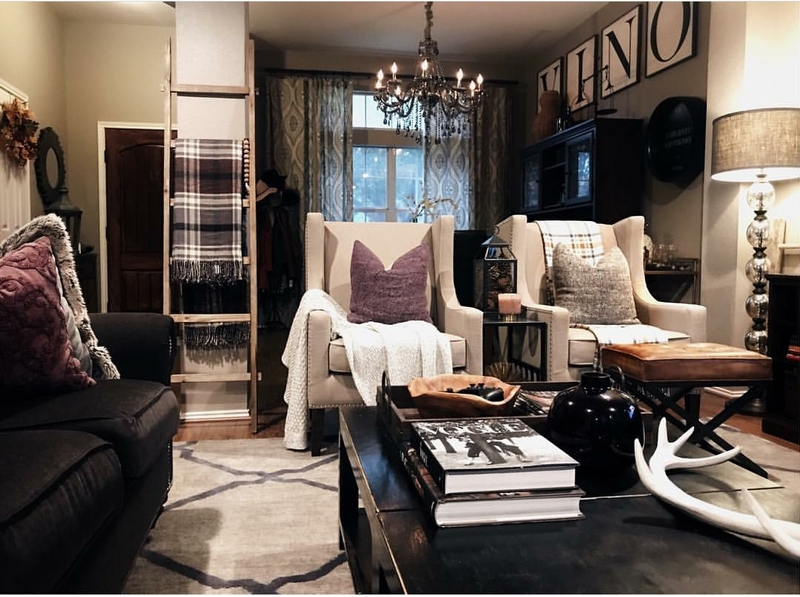 I love how Vilma Iris used darker hues and black books on her coffee table bringing a warm and cozy fall vibe to her home. Thanks for sharing Vilma! Vilma is a lifestyle blogger with great taste and you can visit her @VilmaIrisBlog on Instagram. I used items I already had around the house or stored in the garage. I grabbed a tray that I had on my dining table, and filled it with faux flowers and a skull from last year's Halloween decor. 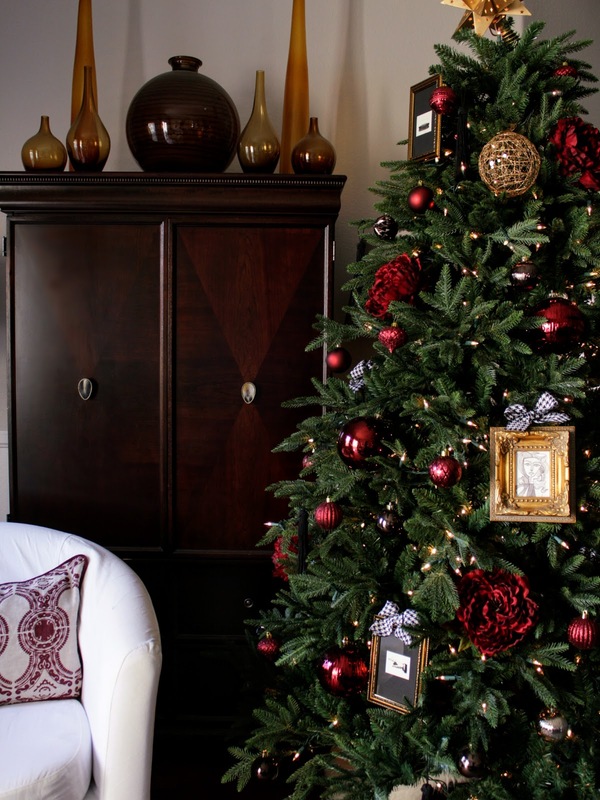 The flowers were also from last year when I used them on my Christmas Tree. Here's a picture of the flowers being used on my tree to refresh your memory. I've been so into butterflies lately. I even recently purchased a button up shirt with a butterfly pattern on it. Just watch... butterflies are totally gonna be a hot trend next year, HAHA! I finished styling my coffee table vignette with a black box and a pair of vintage candlestick holders. Recreating this last-minute Halloween centerpiece in your home would be a cinch! This creepy Halloween arrangement would also work on a dining room table or even on an entryway table to greet your trick-or treaters. Don't forget to share YOUR coffee table on Instagram using the hashtag #whatsonmycoffeetable. you, my friend, are very talented! have a great weekend. Thanks Marsha! Have a good weekend as well!